Damaged Shingles: If you think you need roof repairs, head outside and walk around the perimeter of your house. Are any of your shingles missing, curling back, or buckling up? If so, call the roof contractors at Helke Construction for a comprehensive inspection. They'll assess your shingles, detect any problems, and provide you with a long term solution. Structural Damage: In a worst-case scenario, the structure of your roof may be sagging or dipping in. To prevent a roof collapse and protect your belongings, call Helke Construction for help. Their roof restoration crew will determine the problem and fix it for an affordable price. Leaks: If your home is flooded or you notice water stains on the ceiling, it sounds like you may need roof leak repairs. To see for yourself, head up into your attic and look for water damage. If you still don't see anything, go to your roof and check for fallen debris or other signs that you need roof repairs, then call the pros at Helke Construction. Age: While you may think that your roof will last a lifetime, chances are, it won't. 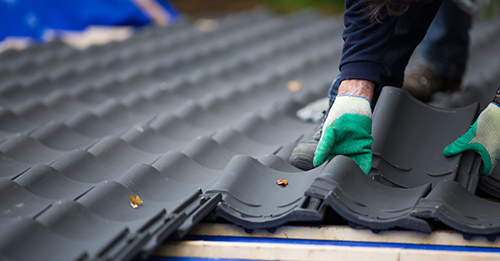 Most roofing materials only last about 15 to 20 years, which means that an old roof will start to give you problems that lead to leaks, structural damage, or drainage issues. For a complete inspection, contact Helke Construction and find out why they're the best roofing company in Montana. If you think you need a roof repair, call Helke Construction at (406) 857-2093, or visit them online for details.